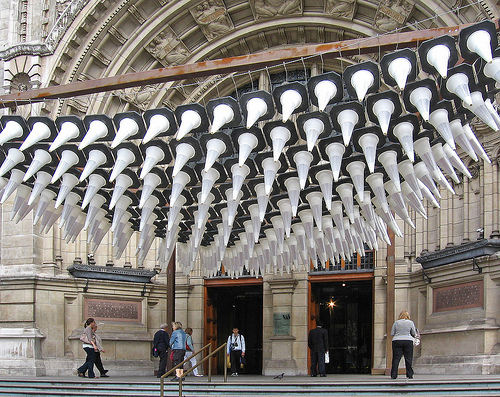 Has anybody else nearly had an acident passing the front entrance of the Victoria and Albert Museum? More than once, like me? The V&A has had many recent impressive front installations, but this not only strikes out but has a tactile attraction that makes one want to approach closer than certainly, in my case, from the front of my taxi. I just hope it will be there in the coming weeks as the Olympic family arrives from Heathrow Airport, as they will hopefully see the first eastbound indicator that London is more than 1066 And All That, more a merge of the formal and informal. 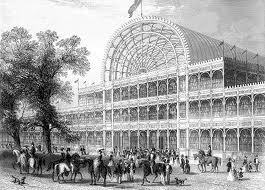 It would be harder to find a more contrasting view when we remember that this and the other classical South Kensington museums were all built from the massive profits of The Great Exhibition of 1851, masterminded by Prince Albert, built by Thomas Paxton and visited by around 6,000,000 people. And yet, London is at ease with itself, and I hope our visitors get the chance to break away from guard changing and check out the secrets and surprises that we hold.